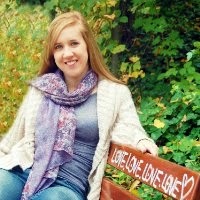 We couldn't be more excited this week to spotlight author Kimberly Lauren. I'm a Texas girl, who misses living in Europe! I came across Kimberly's first book, Beautiful Broken Rules, in July of last year. The synopsis looked good and the two main characters names were Emerson and Jaxon (these two names just happen to be on my possible children's name list), so I figured it was a sign to read this book next. As soon as I one-clicked I dove into the story and didn't stop until the last page was turned. You can check out our 4.5 star review here. 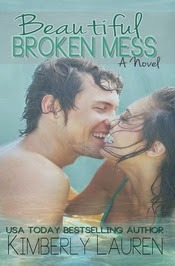 Her second book and the 2nd in the Broken Series, Beautiful Broken Mess, was every bit as good as the first...possibly even better! What's I'm saying is that I loved these books and I loved this author, if you haven't read any of Kimberly's work yet, your missing out. Lookout for excerpts on both books later this week on Facebook! 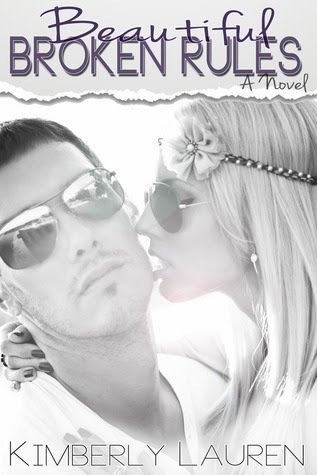 Jace Riley’s close connection with his identical twin brother, Jaxon, is put to the test when he tries to choose between keeping his promises and following his heart. Is this girl that still haunts his dreams, even after four years, really worth it? Jace can’t help but wonder if he made a huge mistake all that time ago when he let her walk into someone else’s arms, especially since that someone was his twin. Audrey Mills often wonders at what point she should throw her hands up in defeat and allow all of the horrible circumstances of her life to overtake her. Despite the demons she has faced, however, something inside her won’t give in. When she leaves her small town in Texas to attend college in California, Audrey runs into the one guy who could make her or break her. But is the past they share too painful for them to overcome? This is the second book in the broken series. While each book can stand on its own, it's recommended you read Beautiful Broken Rules before Beautiful Broken Mess.